Shattenkirk Worth It for Devils? Kevin Shattenkirk is the biggest name slated to hit free agency on Saturday. The former Washington Capitals defenseman will have no shortage of suitors as many teams will seek to improve their blue line. A long list of interested teams has already formed, ready to make a run at the American defenseman. The New Jersey Devils will be among those teams and might bring out the big guns. With Ray Shero potentially throwing big money at him, the question is, will Shattenkirk be worth signing for such a big price? Some teams are skeptical. Everyone predicted that the New York Rangers would be the biggest bidders but that may not be the case. As Glen Sather re-signed Brendan Smith to a four-year deal, it signaled that the Rangers may not be seriously in the running. It is not that hard to see why the Rangers might be cautious. The Hockey Writers’ Brian Anderson talked about the dangers of signing Shattenkirk to a big contract in detail. There certainly is a good amount of risk. Still, the Devils are in a position where they need to take some risks. So would he be worth it for New Jersey? Let’s find out. Whatever drawbacks are in Shattenkirk’s game, offensive production has never been one of them. In his five full seasons with the St. Louis Blues, he has posted 40-plus-point seasons four times. The only time he posted less than 40 was during the lockout-shortened season, in which he recorded 23 points, still an impressive total. The right-handed defenseman can move the puck and put up points. That is something the Devils desperately need. 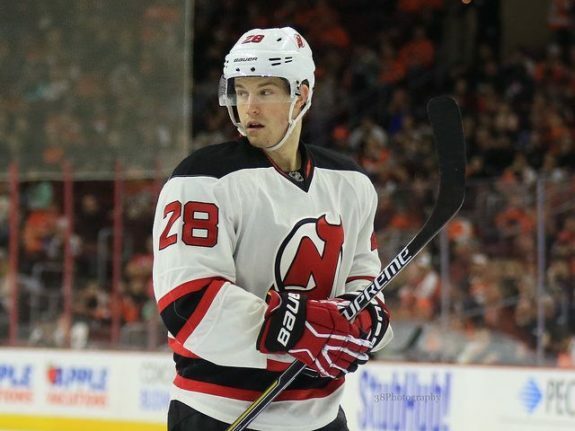 Only Damon Severson, and to a lesser extent John Moore, fill that role for New Jersey currently. There are also no high-end prospects in the system that can fill that role for the future. The situation is clear, the Devils need help from the outside. If Shattenkirk were to be added, he would fill that role perfectly. He would be the number-one defenseman and could be paired with Andy Greene on the first pairing. Greene’s solid defensive skills would complement Shattenkirk’s offensive style. That could shift Severson back to the second pairing and even out the defense a bit. Great players rarely become unrestricted free agents. That is even more true about great defensemen. The biggest names are either locked up long-term with the team that drafted them, or are traded in a blockbuster, usually for another star player. That was the case last Summer when P.K. 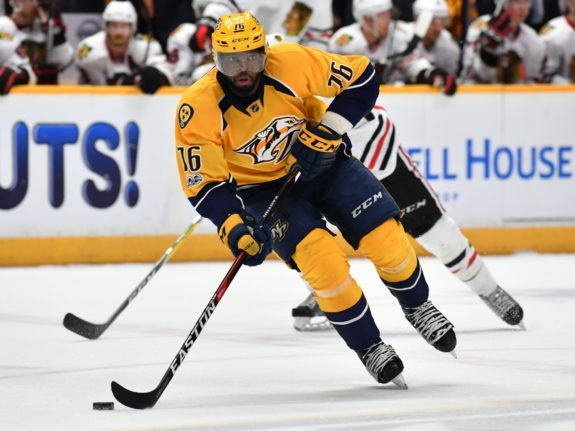 Subban was dealt for fellow star Shea Weber. Both players were homegrown superstars that gave their teams great flexibility and little risk. The Devils do not have the luxury of having a homegrown superstar defenseman. Instead, they could have a former first-round pick with good skills who carries some risk. Shattenkirk may not be the true number-one defenseman that can change a game from the back end, but he is still a great player. The front office should recognize that a player of this caliber may not hit free agency again for a while. If you were to write a list of “good fit” boxes that could be checked off in terms of potential destinations, the Devils would fill most of them. 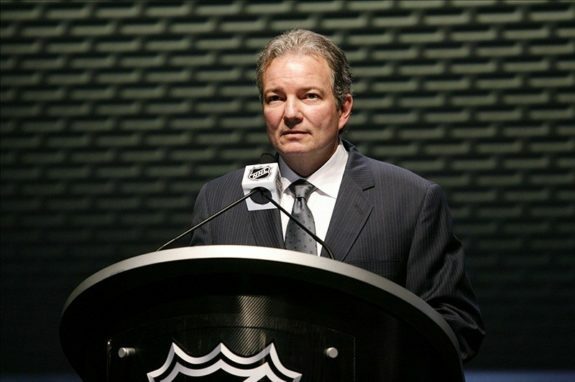 Ray Shero can offer the number-one role, has the cap space to make the move, and does not have many bad contracts on the books. Mike Cammalleri, at $5 million for two more years, and Travis Zajac, at $5.75 million for four more years, represent the worst contracts against the cap. This means that even if Shattenkirk does not pan out perfectly, the Devils will not be suffocated by a collection of bloated contracts down the road. Cammalleri’s is up in two years, and Zajac, while somewhat overpaid, is still a good player and should be the for the foreseeable future. Additionally, most of the core is very young and could outlast one bad contract without crippling the team financially in the future. It will be a risky move but I think the overall risk is diminished greatly when looking at the rest of the contracts on the team. Couple that with the fact that the salary cap was just increased and the risk goes down even more. Players like Shattenkirk do not become free agents often and the Devils are a perfect fit for what he can bring. The term and salary may be a bit higher than most are comfortable with but it is desperately needed. If the Devils are interested in competing while Cory Schneider is still playing at a high level, then this move needs to happen. It will be a risky move, but it is a necessary move that needs to be done.